Your School Games - Autumn 1 Sporting update! A busy first half-term for our boy and girl footballers, hockey, cross-country and tag-rugby! The first term of the new school year has certainly been a busy one, with so many children representing the school with distinction. We'll begin with our girls football team who, together for the first time, played some great football in beating St Thomas More (Joy in year 5 with the goal) 1-0 and Belmont 2-1; Grace in year 4 with a fantastic double. An unfortunate 2-0 loss against eventual runners-up Old Bexley meant we didn't quite qualify for the ESFA finals tournament, but a very positive display nonetheless. Well done to Freya, Grace O, Maddie, Chloe, Alice, Abigail, Willow, Grace M and Joy. The boys had their qualifiers at Harris Garrard and played brilliantly to beat Eastcote 2-0 (Bradley and Tayan), a last minute goal from Tayan beating Parkway 1-0, before goals from Tayan and Kelly beat the home side 2-0 to sweep through to the ESFA finals! The finals at Days Lane (against all the other qualifying winners) was an altogether tougher affair, but a great header from Tayan secured a 1-0 win against Lessness Heath and a long ranger from Kelly a 1-1 draw with Danson, who had won the competition the previous two years in a row. Due to goal difference a win was needed in the last game against Upton to be sure of progression, but with the game locked at 0-0 we were heading out. However up stepped Bradley; blasting a loose ball into the corner of the net with practically the last kick of the game to secure the win! The semi-final against hosts Days Lane was another tough game, an unfortunate rebound not helping matters, as we slipped to a 2-0 defeat against the eventual winners. The boys did however pick themselves up and a 0-0 draw with Danson in the play off, which meant 3rd place was shared. A phenomenal effort from Shay, Jake, Joshua, Daniel, Kelly, Max, Harry, Tayan and Bradley - some fantastic football played and 3rd place in the whole of Bexley is a brilliant achievement! 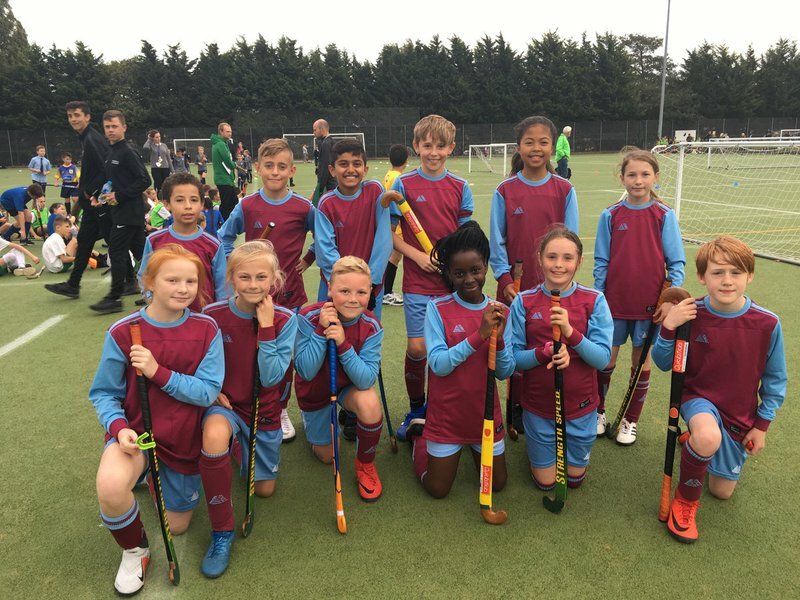 On 11th October we sent two teams to the Bexley Quicksticks Hockey tournament at King Henry's School. Team 2 swept passed Sherwood Park A and Bursted Woods B with ease in the groups, however a last-minute equaliser meant a 2-2 draw with Old Bexley A and missing out on the semi-finals on goal difference. This did not stop the team continuing their excellent form however; great play-off wins over St Thomas More, St Paulinus and Hillsgrove B meant they finished the best out of the non semi-final qualifiers in 7th place out of 22 teams. Team 1 fared a little better; sweeping through a group containing St Josephs A, Hillsgrove B and Sherwood Park B to make the semi-final stages, which was a three-way group with Danson and Old Bexley A. A tight 2-1 win against Danson was followed by an extremely tense 1-1 draw with Old Bexley, however a big win for Old Bexley against an already out Danson meant they progressed and we again exited the competition without losing a game! A frustrating way to go out for both teams - 9 wins on the day and two draws, both against the eventual overall winners Old Bexley, perhaps left a feeling of what might have been for the children, but this should not distract from the fantastic level of hockey they played. It was certainly fantastic to watch and the children should all feel so proud of themselves. Very well done to Charlene, Freya, Grace, Kian, Jake and Finn in team 1 and Elliot, Daniel, Pavan, Alice, Angel and Maddie in team 2. On Tuesday 25th September we were invited to the Year 3 West Lodge Football festival, played at Sidcup Cricket ground, and our boys put in some fine performances individually and collectively - two wins and two draws, with not a goal conceded. Fantastic in what was many of the boys first taste of competitive football. Well done to Kai, Stanley, Kyran, Mario, Finley, Ted, Charlie, Oliver and Toby. The 3rd of October saw us take part in the Bexley tag-rugby festival at Hurstmere - the very first time Barnehurst has ever participated in such an event. Whilst there the children learnt some new skills and drills, before playing some friendly (yet very competitive!) games at the end. To say I was delighted with the children's efforts would be an understatement; brilliant running, tagging and passing meant some fantastic tries were scored in a win against Hillsgrove and a draw against Days Lane, and some very eager children asking to be taken to future events and competitions! Brilliant effort from Alex, Jaron, Grace, Charlene, Maddie, Kai, Thai, Jack and Max! 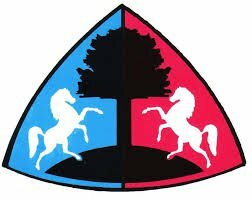 Finally, well done to all our Bexley Cross-Country competitors at the event at BETHS on 17th October - all children had either finished first or second in their year group trials at Barnehurst, so to even take part in the event was already a fantastic achievement. At the time of going to press the final positions of our two teams had not been confirmed (congratulations to winners Old Bexley), but there were great performances from Indiana, Grace Mo, Aiden and Kai in year 3, Grace Ma, Annie-Rose, Cameron and Joshua in year 4, Sophie, Georgia, Kenzie and Jack in year 5 and Madeleine, Amy, Daniel and Finn in year 6. Some particular highlights were top-10 finishes for Daniel, Madeleine, Cameron and Grace Ma in each of the four races! A two-form entry school in Bexley, Kent that is hugely enthusiastic in bringing out the huge potential of all our children in PE and Sport.